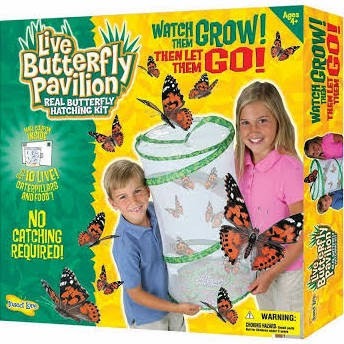 For Christmas we were given a "Grow your own butterfly kit". Included is a net (grandly called a "Pavillion"). 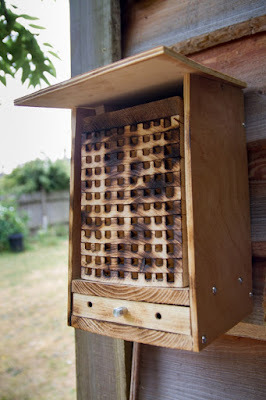 You then send away for caterpillars, which arrive in a self-contained pot containing an agar-like food substrate which sees them through to the point that they form the chrysalis, which you then transfer to the pavillion to hatch. Our kids have done this at school and we thought we would have a go at home. The supplier guarantees that you should get some butterflies. With each pot containing five caterpillars, from two pots, we got 5 to butterfly stage. Some were lost at the pupating stage, and some didn’t make it at emerging from the chrysalis, having got tangled up in web. We did have a couple of 'Special-needs' butterflies with deformed wings due to this problem. 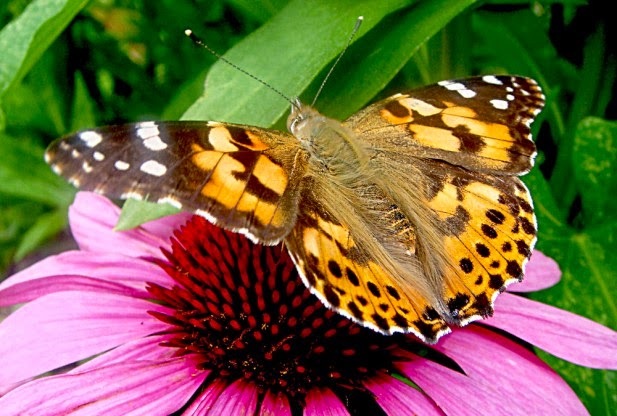 The supplier used Painted Lady caterpillars, which turn into butterflies like the one below, tastefully feeding from an Echinacea. The kids gave all the caterpillars names. 'Ninja Guy', 'Weapons Guy', 'Hairy' and 'John' (I kid you not) made it to the butterfly stage. I thought it would be cool to film the key events of pupation and hatching - which proved trickier than I had thought. I used a Microsoft LifeCam Cinema webcam & Raspberry Pi, with video stream captured using iCatcher Software on a networked PC. This action took place over a 30 minute period, and is speeded up. Basically the skin of the caterpillar splits at its head, and then sloughs off up its body. It then wriggles about to push off the shed skin after which it settled down and the crysalis hardens. Unfortunatey this was one of our failed attempts since the crysalis formed a really odd shape and it didn't progress. Much less gross this time, I missed the first one to hatch, but caught two others. Of interest is the red fluid which is ejected which is apparently all the left-over bits of caterpillar that it didnt need to become a butterfly. I'm sure there is a more technical description, but it was good enough for the kids! Speeded up over two hours, shows hatching, and wing expansion and expelling of the 'caterpillar juice'.... cool eh? There are two schools of thought on whether or not to release into the wild. Some advocate not doing this as these are essentially not wild. My view is that at worst, we're contributing to the food chain... This is 'Ninja Guy' posing for the camera. The butterfly net is packed away for next year... ant farm anyone? Great stuff! I especially like the second video showing the emerging butterfly, and the way the wings seem to inflate. How did evolution result in such a strange process where a caterpiller turns into soup, only to emerge some months later as a colourful flying insect? +1 on the release option. It may give a garden bird one fresh square meal. We seem to be locked into an annual cycle with Emperor moths, as once the females have mated in the flight-cage (Pavillion...how posh!) they produce more eggs than we can find homes for (http://captainbodgit.blogspot.co.uk/2014/04/our-emperor-moths-emerge.html). Let me know if you want to be added to our 2015 distribution list.